Today, the demand for precise and enhanced vision has increased along with the extension of active age. In over 40s near-and farsightedness may become a problem. The constant swapping of two glasses, or bifocal / multifocal lenses is a serious financial burden as well as a major inconvenience. 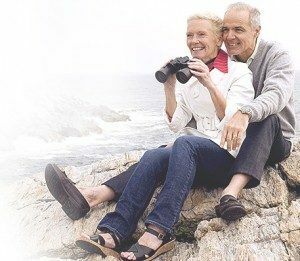 Refractive Lens Exchange vision correction surgery can help to get rid of all your spectacles for a lifetime, can prevent the formation of cataracts at a later age and ensure you enjoy the unique experience of sharp vision again! A comprehensive eye examination is followed by the calculation for the IOL design, ie the planning of the implanted IOL diopter and type. This diopter is optional according to the patient’s needs, depending on whether the patient wants to see clearly only for farsightedness after the surgery, or for both farsightedness and nearsightedness as well. In our clinic we work only with the best quality IOLs, which enable us to achieve the most precise visual acuity. These are revolutionary new types of IOLs. One of them is the a multifocal IOL, allowing, near, intermediate and far distance vision at the same time, so there is no need for reading glasses. It can be compared mostly to the more comfortable visual experience provided by the multifocal glasses, but without the hassle of wearing glasses. Astigmatism is another kind of refractive error. Astigmatism occuring due to the curvature irregularity of the cornea, can also be corrected by the TORIC intra oular lens. The multifocal-toric IOL implantation may provide the eligible patients a life without glasses*. The newest trifocal lens guarantees the most precise vision at any distance, and at the same time makes it possible to read the screen without wearing glasses. Also, it helps to prevent the development of a secondary cataract. Its special material filters the light that enters the eye, and as a consequence, defends the membrane from the harmful rays. The lens’ material and shape (made by the most modern technology) guarantees the lens’ stable position within the crystalline, and therefore, a permanent vision experience in the long run. *With the assistance of the surgeon we select the most suitable lens for the patient from the available variety of intraocular lenses, in accordance with our patient’s needs and expectations taking into consideration the patient’s lifestyle. The surgery procedure is identical to the cataract surgery process. The surgery is performed under local anesthesia. We avoid pain with anesthetic eye drops, that are instilled several times to the eye prior to the surgery. Mydriatic drops are instilled to dilate the pupil. No injections are administered for anesthesia. After cleaning the eye and its surroundings, to carefully disinfect the eye, a small 2.8 mm incision is performed on the surface of the eye between the layers of the tissues, to act like a “tunnel”. The small incision is self sealing and when surgery is finished, no sutures are needed. Phacoemulsification is carried out with the most technologically advanced equipment, ie, emulsifying the lens with ultrasound, irrigation and suction. Your face will be covered during the surgery leaving only the operated eye exposed for the surgeon to be able to perform the surgery. You will be able to speak to your surgeon and you will feel no pain during the procedure. It is very important not to make sudden head movements. The actual surgical intervention takes about 15 minutes. After surgery, you will be escorted back to your recovery bay by one of our specialist nurses. You will be prescribed antibiotics and anti-inflammatory eye drops. A written patient information document will also provided. It is very important to prevent infection during the recovery period at home. It is prohibited to rub the eye. The usual daily activities can also be continued after surgery. The vision may be slightly blurred temporarily after the surgery, because the pupil is dilated, the cornea may be cloudy for a transitional period. Follow up with your doctor if necessary the next day. Sometimes the operated eye may be a little red, watery and temporary stinging or sensation of foreign body may occur. Refractive Lens Exchange / Cataract surgery is usually very successful, if there are no other pre-existing eye conditions. However, it is important to realise that there is always a risk of complications associated with any operation. Some of these complications can be dealt with at the time of the surgery or just after surgery. These complications can sometimes occur even if the operation itself is carried out perfectly. Many of these complications are manageable, although it may mean that other treatments may be required and the recovery period may be longer than usual. This may include the need for additional surgery. The most serious consequence of all the complications is the risk of loss of vision in extremely rare cases. If the membrane behind the artificial lens becomes cloudy, this will make your vision blurry again. If this happens, laser treatment may be needed some time after the surgery, restoring back your clear vision. We would like to remind you that these risks are not common and that all necessary precautions will be taken by our professional staff to ensure that you have an uneventful procedure.